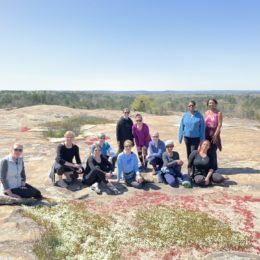 For yoga instructor Sandra Bonkienė, interaction with nature is an important part of yoga. 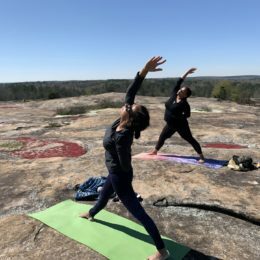 That’s why she joins us each year to host a yoga class at Arabia Mountain. 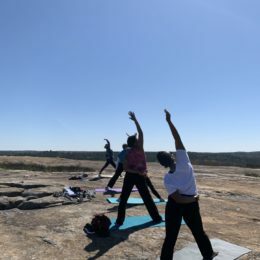 “The idea of having it is to connect with nature,” Sandra said, “so we can experience the elements like air and earth.” Outside on the rock of Arabia Mountain, the class takes place in a very different setting than an indoor yoga studio. 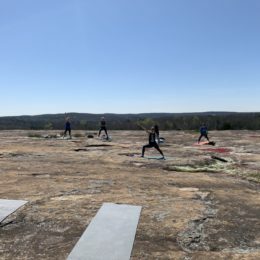 Conducting yoga outdoors allows for a more meditative and natural practice, as well as being a little more physically challenging. 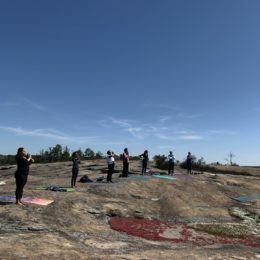 Sandra begins the class by having participants stand barefoot on the rock to immerse themselves in the present moment. 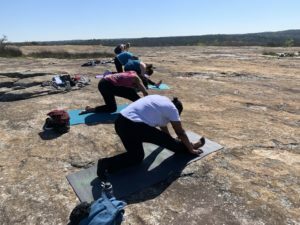 Mountaintop yoga draws people with a wide variety of experience with yoga, and the class is geared to be welcoming for anyone interested. 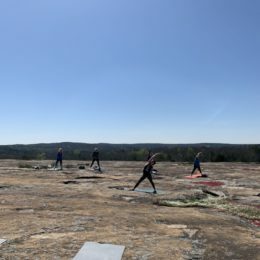 “This is an all-levels practice,” Sandra emphasizes. 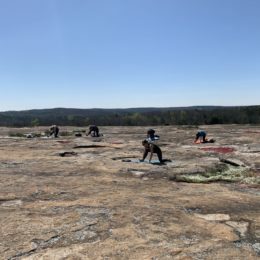 As well as stretching, the class revolves around basic technique. 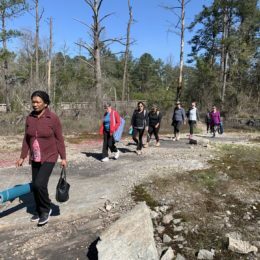 “I want people to feel good – it’s for everyone,” she said.